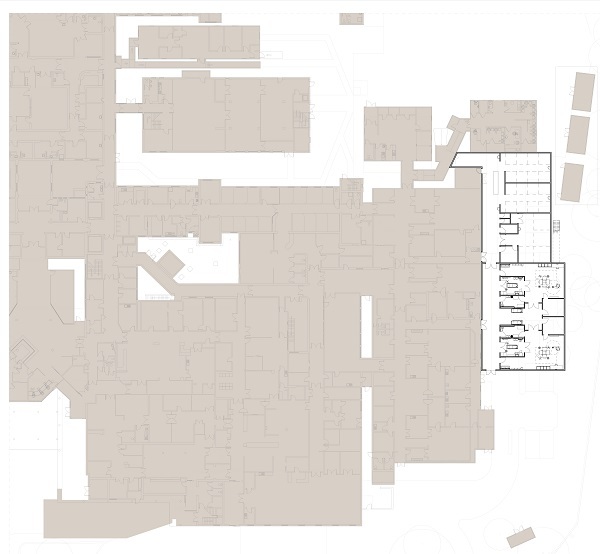 As part of the Site Redevelopment plan, the expansion of the Emergency Department plays a major part. In order to become the regional tertiary trauma unit the hospital requires direct access for the Air Ambulances into the Emergency Department which currently the hospital is unable to provide. Air Ambulances bringing patients to the Luton & Dunstable Hospital have to land on part of the Ferrars Junior School playing field and be met by a land ambulance. 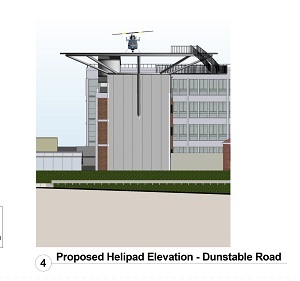 The Trust have been in discussion with the Civil Aviation Authority about the design requirements for a helipad within the Hospital Site. 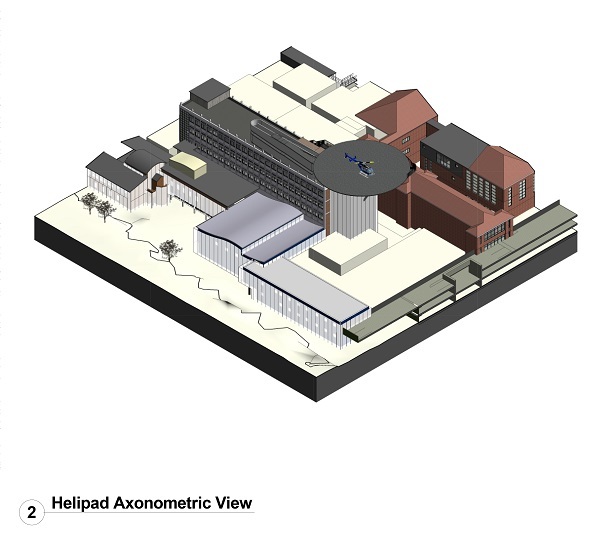 We are very aware that the hospital is surrounded by residential properties so we have identified our preferred location on top of the existing Medical Beds block over the Emergency Department to reduce the impact of noise. This is also the best location as it affords excellent visibility for the air ambulance pilots through its elevated position (5 floors up). The Helipad will be used 3 times a day on average and occasionally in the hours of darkness. 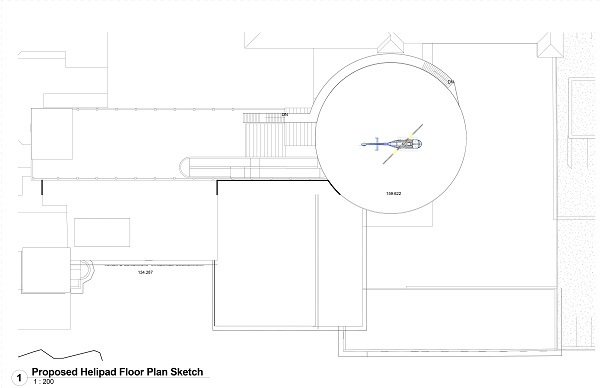 The temporary theatre block is required to enable the emergency department to be extended and refurbished. The block will be located in the south west corner of the site, by the cross roads on Dunstable Road. The block will be used for surgical operations for up to five years.